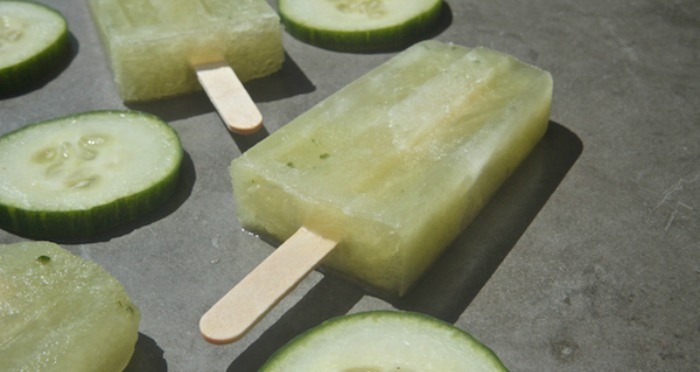 If your children are known to raid the freezer for icy treats, make sure they can’t get their hands on these ones! 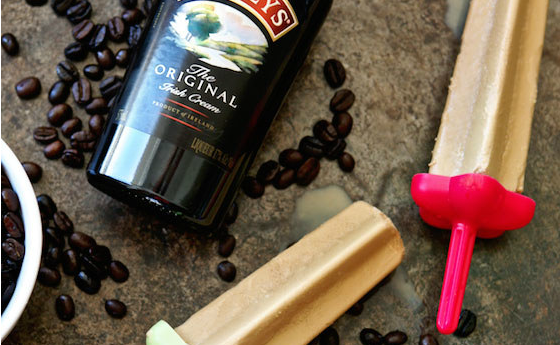 Alcohol infused ice blocks are the best way to cool down (with a buzz) this Summer. Who can we thank for this exciting development? Track down a POPScycle bike around Sydney this Summer at festivals, outdoor events and other exciting pop-up locations. 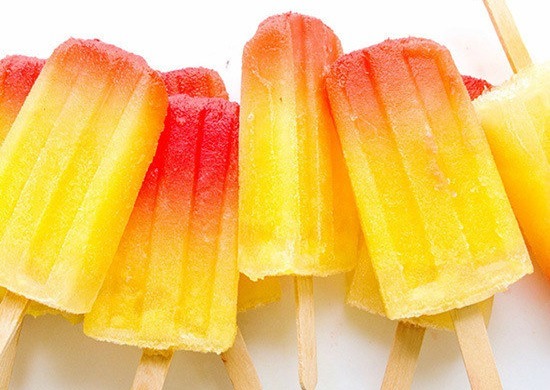 They’ll be carrying loads of POPS- a range of fancy British (alcohol injected) icy poles that include flavours such as the prosecco & peach bellini (made with 1/2 glass prosecco and peach schnapps), the moscow mule, and the classic champagne (made with 1/2 glass champagne). Their strawberry & mint and apple & elderflower non-alcoholic concoctions are even made with real fruit! Enjoy this cheeky (and simple) treat from the comfort of your home. 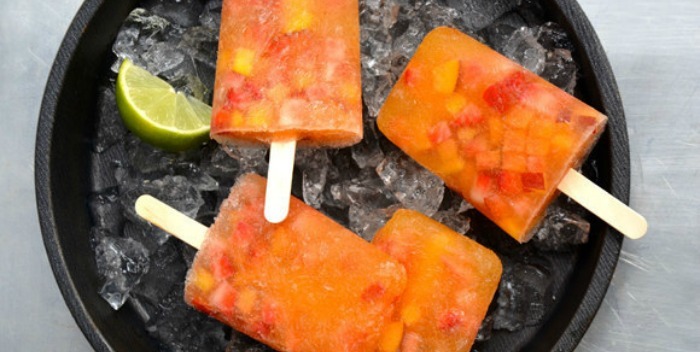 Pull out your ice block moulds and get creative with some of these recipes. Hint: the trick is getting the ratios right. 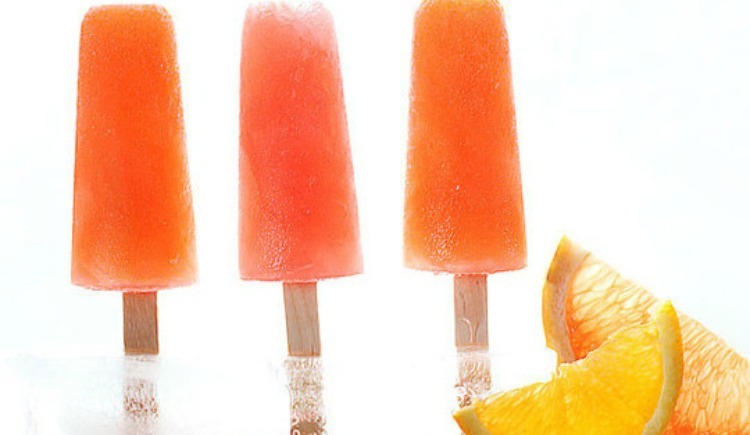 Check out REAL FOOD by dad’s awesome iceblock recipe that only needs 4 easy ingredients: grenadine, fresh pineapple, pineapple juice….and tequila! According to kitchn, all you need is sugar, water, your choice of pineapple or orange juice- and campari! Have happy hour at home with Just A Taste’s sweet recipe- you’ll need white wine, peach juice, diced mix of fruit, soda water, Grand Marnier and lime juice. For something a little creamier, try Marla Meredith’s recipe. You’ll need cream, milk, coffee, sugar, vanilla extract, a pinch of salt, and Bailey’s Irish Cream. Such a cool combination. According to shutterbean, all you need is ginger beer, cucumber, lime, simple syrup and gin! Prepare for your Instagram feed to be flooded with these babies soon. Frosé (aka Frozen Rosé) is the cocktail to order this Summer- expect it on all cocktail lists and happy hour specials in the next few months! Some days are just too darn blistering hot for a glass of white wine or rosé, so when those days happen, order an icy, pink, slushy-style Frosé. New York’s Bar Primi started the trend, and it’s now making it’s way across Sydney. Pelicano, Double Bay, has even opened a Frosé Garden Terrace, a special area dedicated to this new delight running throughout Summer. You know where to find us.